In the course of the past six years a new wine-growing method for the VNQ Riesling was tested and continuously refined. The aim was to create something new based on the knowledge of traditional wine-growing. The new wine was to be created gently and unfiltered thus preserving micro flavours and promoting new taste structures. The first surprising results revealed a special note of taste which boosted the development of this special Riesling. However, during this period we realized that such a complex procedure can only be successful in a selected, manageable production. The grapes are hand-selected and carefully pressed in a wooden winepress. Many other details during the production process create the character of this noble wine. VMQ Riesling is unfiltered. Due to the gentle process, it is not as transparent as other Riesling wines which are filtered through a layer of filters. The claim VINUM NATURALIS QUALITATIS refers to the Romans who maintained vineyards in this region 2000 years ago. The term NATURALIS stands for the unfiltered method. Small, visible floating aroma and taste particles are part of the special note of this dry Riesling. The production method results in a specific note of this dry Riesling. 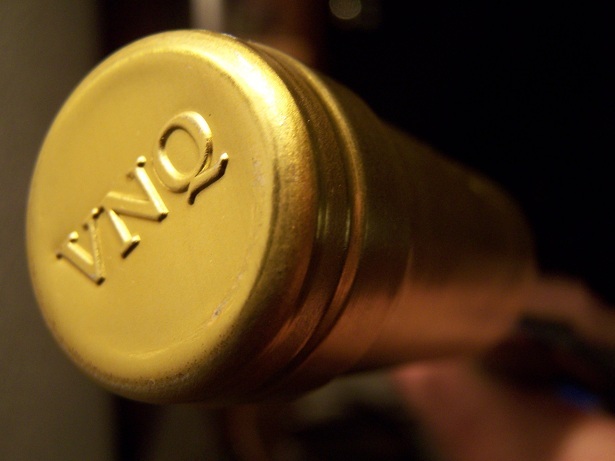 Therefore, the VNQ Riesling surely belongs to one of the very exclusive products on the international wine market. To create an exceptional Riesling which – contrary to the Zeitgeist - has had time to mature, enjoy sensuality and inspiration during the production process. 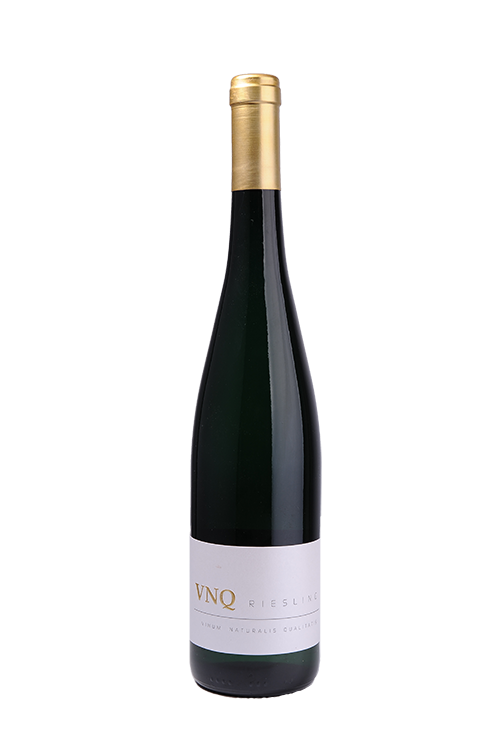 Combined with the special flavour, the VNQ Riesling passes this spirit on to anyone tasting the wine.. The small quantity of 400 bottles per annum underlines the exclusive note of the wine and its special value. „ The absorption of flavour can be compared with the absorption of colour. The initially strong absorption of new filters is gradually reduced as the filters continue to be saturated. In large volumes the effects are minimal, whereas in small volumes the filtration through fresh layers of filter has a negative affect. Conclusion: Unfiltered dry wines, especially those in small quantity and high quality provide a quality advantage as long as they are kept in cool storage.